Monday was another eventful day in the land of post-wedding errands. Following my social security administration shin-dig on Friday, the next stop was the DMV. Again I wanted to be comfortable whilst I waited, so I donned my trusty "what the fluff" down vest. Down or "puffer" vests are wonderful additions to any closet because of their ease of use and flexibility when it comes to changing weather. It's minimal commitment for maximum effect. 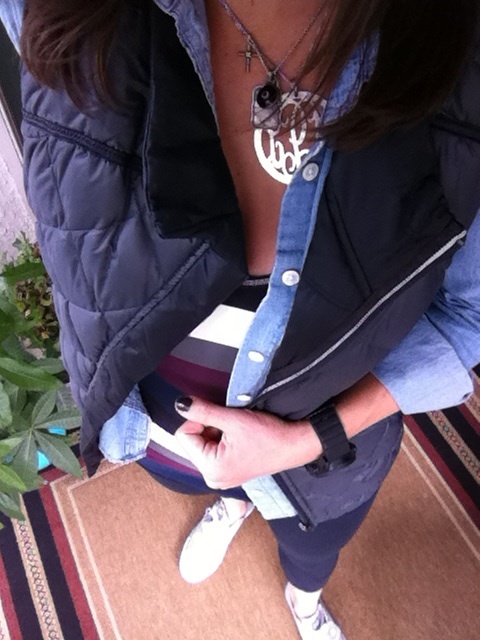 Neutral colored vests make for greatest versatility and chic touches to your fall and winter outfits. Stay cozy!